When I first considered homeschooling my children, the Charlotte Mason approach immediately resonated with me. Known for living books, nature study, and outdoor play, the 19th-century British educator set a vision for a rich and beautiful education that I could give to my kids. I imagined shelves of beautiful books and long walks with stops for painting in nature journals. Then I blinked and looked down at the six-month-old baby in my arms. The scenes I pictured were literally years away. While I learned delayed gratification, I continued reading and learning about Charlotte Mason and her educational philosophy. 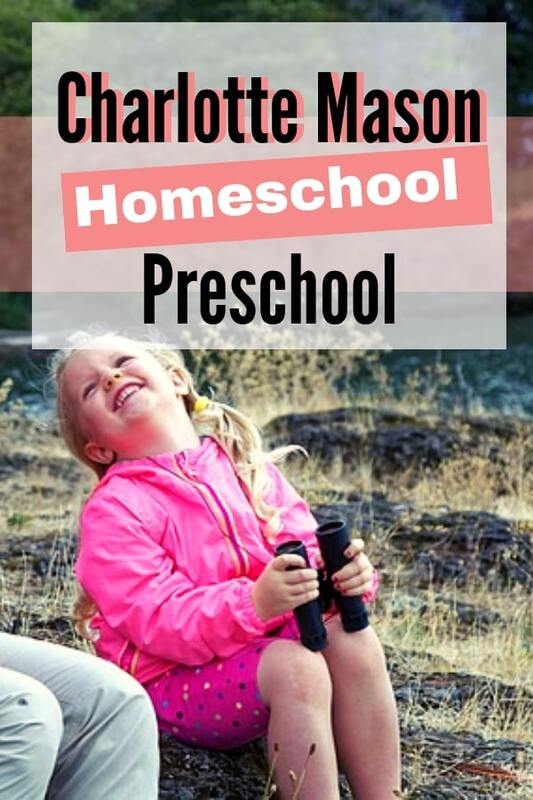 As I worked my way through her books, I came to understand that while Charlotte Mason often writes about school-age children, her principles apply to any age, preschoolers included. Charlotte Mason summarizes three of these principles in her motto,’Education is an atmosphere, a discipline, and a life’. Charlotte Mason believed that atmosphere, discipline, and life are educational tools that promote a child’s intrinsic desire to learn, rather than stunt it by using rewards or punishments to motivate a child to learn. 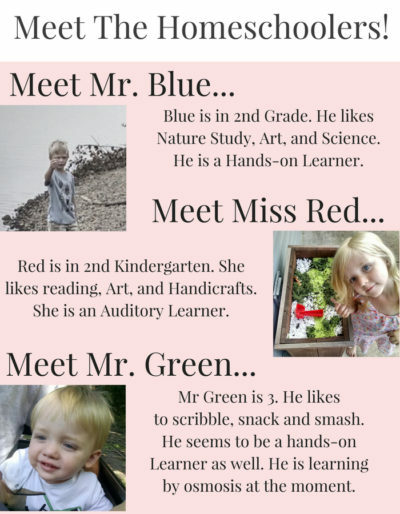 While every home preschool looks different, a ‘Charlotte Mason preschool’ uses these tools out of respect for a child’s inner motivation to learn and a desire to protect it. So, what are an atmosphere, discipline, and life, and how do we use them in a home preschool? Charlotte Mason uses atmosphere to sum up the entire context of a child’s life. Atmosphere includes a child’s family, friends, the natural world around them, the events in their life and much more. Many homeschoolers appreciate the educational value of our kids having ‘real-world’ experiences. We know that our kids practice math while baking and that they develop social skills as they learn to cooperate with siblings. Our values also fuel our atmosphere. The way we set our priorities and where we give our attention as parents impact our kids by the example we set. It might seem like atmosphere is something that just happens, rather than a tool we use in our homeschools. However, we can actively use atmosphere to its best advantage by allowing our kids to face the challenges that life throws their way. We can so quickly find ourselves arbitrating our kids’ every argument, or helping our kids up a climbing frame at the playground. But when we do things like this, we inadvertently teach our kids that they don’t have the strength or ability to solve problems, and we prevent them from developing the resilience to keep trying when they fail. Charlotte Mason refers to this practice of stepping back and letting our kids test their mettle as ‘masterly inactivity’, a wise letting alone. It’s not that we let our kids face challenges alone and without support. Instead, we consciously refrain from giving too much help. We know that our kids will learn and grow much more if they use their own strength to solve a problem. This attitude creates an atmosphere of confidence and faith in our kids. Education as a discipline doesn’t mean that we need to get our preschoolers on a regimented schedule. Rather, Charlotte Mason is referring to the discipline of habit. She rightly understood that a huge proportion of our lives runs upon our habits. As parents and home educators, we use the tool of discipline by helping our children establish habits that will serve them throughout life. We can work on many sorts of habits with our children: making the bed, washing hands, even mental habits like paying attention. I’m sure you can imagine all sorts of habits you would like your children to have. Start with one habit at a time and stick with it until it’s established. If you’re like me and find habit training overwhelming, then I recommend starting with a very concrete habit that occurs once or twice a day, like brushing teeth or tidying toys before dinner. Although habit training doesn’t look much like preschool in the traditional sense, we are establishing our kids in life skills that will help our future homeschools run smoothly as well as help our kids grow up to be capable adults. When Charlotte Mason says that education is a life, she means that our minds, and our kids’ minds, are living and require food to grow upon. The food our minds need is ideas. The phrase food for thought illustrates her point: ideas that grab our attention, that we mull over and that influence our thinking and actions, feed our mind and help us grow. We often see our young kids do this while they play and act out the ideas that have their attention. Nature… undertakes, herself, to find work for eyes and ears, taste and touch; she will prick the brain with problems and the heart with feelings; and the part of the mother or teacher in the early years (indeed, all through life) is to sow opportunities, and then to keep in the background, ready with a guiding or restraining hand only when these are badly wanted. (Home Education). Outdoor play takes center stage in a Charlotte Mason preschool because we understand that nature stimulates and grows the minds of our young kids. We also offer our kids the opportunity to grow from living books – books that contain ideas that spark interest and curiosity. There are many lists and suggestions for living books to read to preschool children. It’s likely, however, that you already have a taste for what makes a book ‘living’: it has a beautiful language, an interesting plot, and while our children understand it, the author doesn’t talk down to them, trying hard to teach a lesson. Living books for preschoolers may be short and simple – and often are the books that we like to read as adults! When we use atmosphere, discipline, and life in our home preschools we are gaining experience with the same tools that we need when our children are older. That six-month-old baby in my arms is nearly six years old now, and the days of reading lessons, narrations, and copywork are fast approaching. But even though the rhythm of my days will change, the way I go about educating my kids will not. 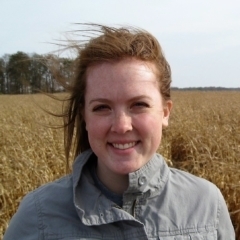 Amy is a homeschooling mom of three boys, living as an American ex-pat in the northwest of England. 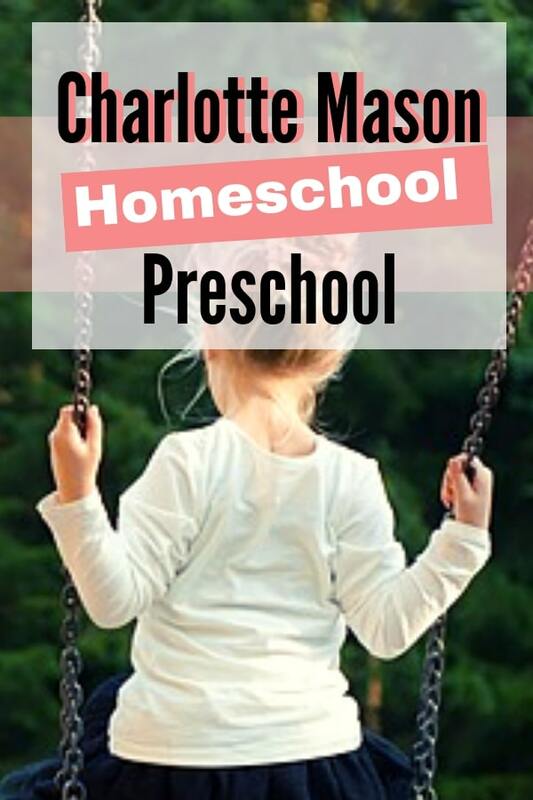 She connects the Charlotte Mason philosophy with the Charlotte Mason practicalities for the early years and beyond at her blog, Around the Thicket. 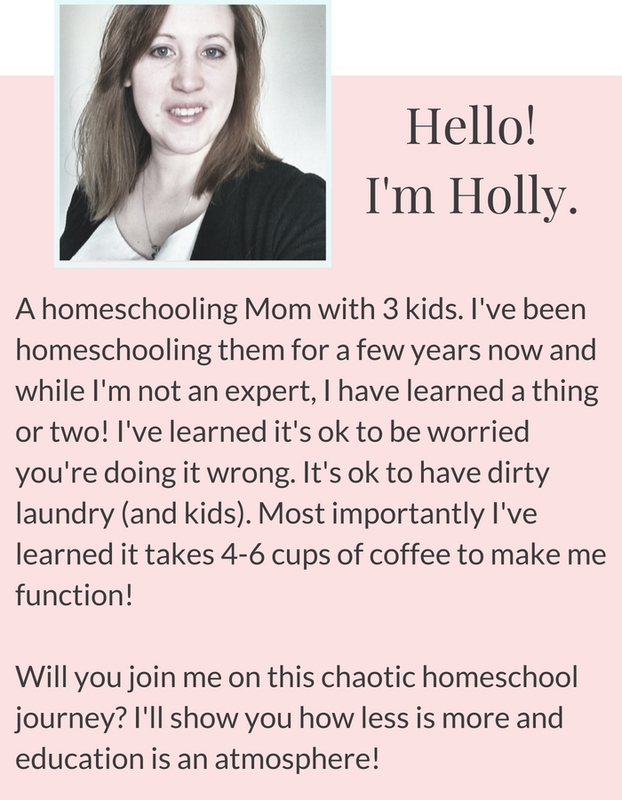 You’ll also find her co-hosting the Thinking Love podcast, a show that explores homeschooling, Charlotte Mason, the early years, and more.